Access to, and use of this website and/or any information contained in the website (the “Site”) are subject to these terms and conditions (the “Terms and Conditions”). The “User”, “you” and “your(s)” mean any persons using the site. “Customer(s) “ means the person(s) on whose behalf you, as the agent use the Site with intention to making bookings of accommodation and or flights for such persons. “Accommodation” means any or all of hotel room (s), apartment(s), villa(s) or other form of accommodation of which details may appear on the Site and related services or products. “Agent” means a person who uses the Site in the course of business to identify and book accommodation and or flights for a Customer. “Accommodation Provider(s)” means the owner(s) and/or provider(s) of such hotel rooms, villas, apartments or any other forms of accommodation. 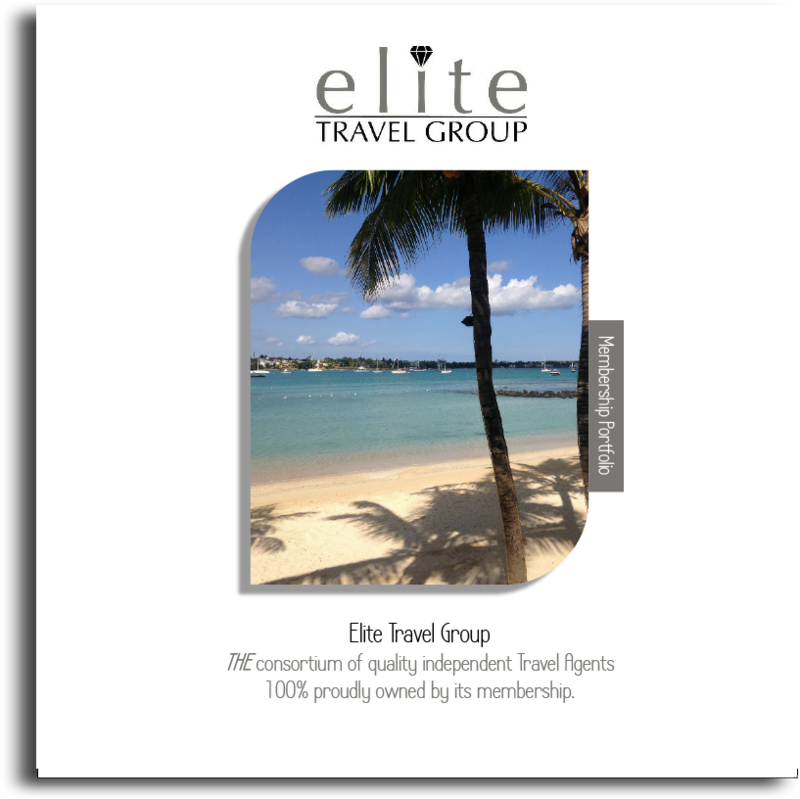 “Elite Travel Group”, “ELG”, ”we”, “us”, “our” mean Midconsort Ltd, trading as the Elite Travel Group a company registered in England and Wales with Company registration number 2425148 and registered address at Elite Travel Group, Q2, Quattro House, The Courtyard, Roman Way, Coleshill, B46 1HQ. Please read the Terms and Conditions carefully before using the Site. You agree without qualification to the Terms and Conditions when you use the Site. If you disagree with any part of the Terms and Conditions, you may not use the site. The information on the Site is directed solely at those who access the Site from the United Kingdom mainland. Our business and the services we offer are governed by the applicable laws of England and Wales. No warranties and/or representations of any kind express or implied are given as to the compliance of the information shown on the site, the services and our business in any respect with any laws of any other country which do not, in any event, affect or apply to the same. The site may only be used by authorised Travel Agents. You agree to be bound by the following Conditions. You must be 18 years of age or over and have the legal capacity to make such bookings or making reservations with the authority of the proprietor/manager if under 18 years of age. You warrant that any information you provide about yourself or anyone else shall be true and accurate. The transmission of threatening, defamatory, pornographic, political, racist or any material that is otherwise unlawful is expressly prohibited. The site and any content may not be modified, copied, transmitted, distributed, sold, displayed, licensed or reproduced in any way by you. For persons who are resident in the United Kingdom or any other country of the European Union, the applicable booking and purchase conditions are those which are set by the accommodation provider. By your making a reservation on the Site on behalf of a Customer, such customer enters into a contract with the accommodation provider itself rather than with the ETG. The ETG acts as agents only for each of the accommodation providers to provide you with information on the accommodation and with an on-line reservation service. The Elite Travel Groups’ sole responsibility to you and your Customers in providing the on-line reservation service is to pass reservation details to the accommodation provider. ETG shall not accept any liability for any loss or damage you or your Customers may suffer or incur as a result of the incorrect processing of the reservation details by the accommodation provider, or the accommodation provided to your Customers by the accommodation provider. ETG provides information concerning the price and availability of accommodation, together with a range of other information to assist in making a reservation of accommodation. Prices, restrictions and availability of goods and services may change without notice and reservations are subject to applicable taxes and fees. By completing the information boxes and clicking ‘confirm’ on the reservation pages you are entering into a contract with ETG for the provision of the services of the Site, including the publication of pricing, availability and other information concerning available accommodation on the terms set out herewith. Booking and purchase conditions contain limitations and exclusions of liability to any person(s) who books accommodation with any accommodation Providers advertised on the Site. Cancellation and amendment charges are payable if a booking or other purchase is cancelled or amended after it as been confirmed. Access to the Site is conditions on your agreement that all information contained in it and all matters which arise between you and us will be governed by English law. Access is further conditional on your agreement that any dispute or matter which arises between you and us will be dealt with exclusively by the Courts of England and Wales. ETG reserves the right to deny access to the Site at any time without notice. No Warranties, promises and/or representations of any kind, express or implied, are given as to the accuracy of any of the information contained on the Site or as to the nature, standard, suitability or otherwise of any services offered by us or the accommodation for which we act as an agent. We shall not be liable for any loss of damage whatever nature (direct, indirect, consequential or other) which may arise as a result directly or indirectly, from the use of any of the information or material contained in the Site and/or use of or access to any other information or material via web links from the Site or any inability to access or use the Site. These exclusions of liability apply only to the extent permitted by the law and if any of these exclusions, in whole or part, is found to be unlawful, void or any other reason unenforceable, that exclusion or part of the exclusion shall be deemed severable and shall not affect the validity or enforceability of the other exclusions or part of the exclusion(s) in question. ETG may change any aspect of the Site of its content, including the availability of any accommodation, features, information, database or content at any time. The information and/or prices shown on the Site are updated on a regular basis and therefore may have changed by the time you come to make reservations. Whilst every effort is made to ensure the accuracy of all such information and prices, errors do occasionally occur. You must therefore ensure you check all details of the chosen accommodation (including the price) at the time of making a reservation. In the event that an incorrect price has been entered in error, any booking made based on such incorrect price will not be valid. You will be advised of the mistake at the earliest opportunity and your Customer will then have the option either to pay the correct price for the accommodation or to cancel and receive a full refund of any monies already paid. Compensation will be applicable in line with ETG booking conditions note 7. As a condition of use of the Site you agree indemnify ETG, its officers, agents, suppliers and other partners from and against any and all liabilities, expenses (including legal fees) and damages arising out of claims resulting from either your use of the site. Any material you post to or transmit through the Site, including claims for intellectual property right infringement or defamation. The Site is provided on an as available basis. We do not accept liability in respect of your ability to access or use the Site at any time or for any interruption in that access, or use, or for any failure to complete any transaction. We do not warrant that the Site is free from computer viruses or other properties that may cause loss or damage. ETG reserve the copyright and all proprietary rights in the Site and all content. The material contained within the Site is the property of ETG or its affiliates unless identified as belonging to third parties. The name ETG Limited and any other marks, logos and graphics of ETG, displayed on the site are trademarks of ETG. Other company and product or service names displayed on the Site may be the trademarks of their respective owners. You are not granted any right or licence to use any trademarks.